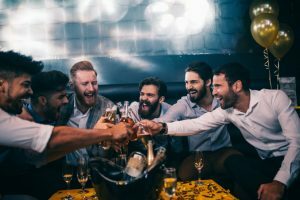 Let Dallas Limo Transportation Service help you plan your next Bachelor Party with our Dallas Bachelor Party Limousine Rental Services Transportation. With services and vehicles for all types and party sizes. Cruise around town between clubs, nightlife, brewery tours, pub crawls or wine tasting. For more information, quotes or availability please contact us. The Limo is a popular choice for smaller Bachelor Party Group transportation services. Affordable limousine options available starting at 8 passengers. The Party Bus is a fun and entertaining choice when booking transportation. Perfect for any Bachelor Party where you can enjoy the whole night in between your event locations. The least expensive option for transportation for 3 people or less for your Bachelor Party. fit up to 3 passengers for low hourly rates or transfer rates. The Mercedes Sprinter Van is a great option for shuttling between 10-14 passengers to and from your Bachelor Party event locations and venues. 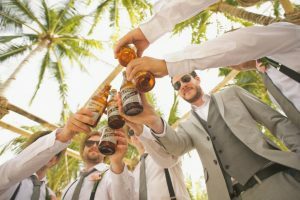 With comparative low hourly rates, Shuttle Buses come in handy for mid to large size Bachelor Party groups when the extra bells and whistles are just not needed. For Bachelor Party groups larger than 30 passengers up to 56 passengers. Everyone can travel together for less than a Party Bus. Fun for all the guys, swing for the fences at Top Golf Dallas. Book a sedan, limo, or shuttle bus. Bring your own or rent one of theirs. Enjoy private lessons by top competitor instructors. Ask about Bachelor Party Discount Packages. Never to old to enjoy a wild race day at K1 Speedway Dallas. Join in on the public fun or reserve the raceway for your private Bachelor Party celebration. The AT&T Stadium is perfect for Bachelor Parties. Make it better and get transportation to the AT&T Stadium and back home and enjoy your designated driver. Gear up and fly at indoor skydiving before your night out. Get there with our sedans, SUV's, Limousines and Buses. Enjoy any of the fun and unique bars and pubs around Dallas. We offer Dallas hourly services with any vehicle so you can hop in and go at anytime.